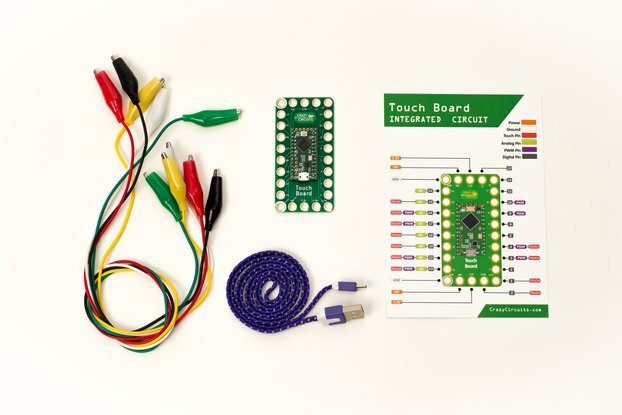 Crocopoi is a tiny board that converts any conductive object into an interactive one. Crocopoi is a tiny board able to simulate a basic keyboard (right, left, down, up, space and enter); transforming, any conductive material into its matching key. By plugging the alligators into the desired paths in one end and to any conductive material at the other. The electronic pulse signal will be created by touching the chosen material with one hand meanwhile holding the ground signal with the other. Bananas, cucumbers, apples, potatoes, sponges, aluminium foil... do not constrain your imagination! 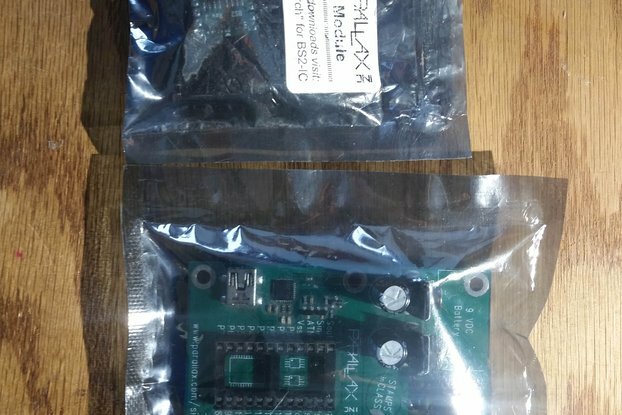 Crocopoi uses a attiny44 microcontroller to emulate the USB keyboard, for this reason, it is a board with fewer components at very affordable price. You can create your own "keyboard" and play any simple game, for example, "flappy bird" or programming any game from Scratch. 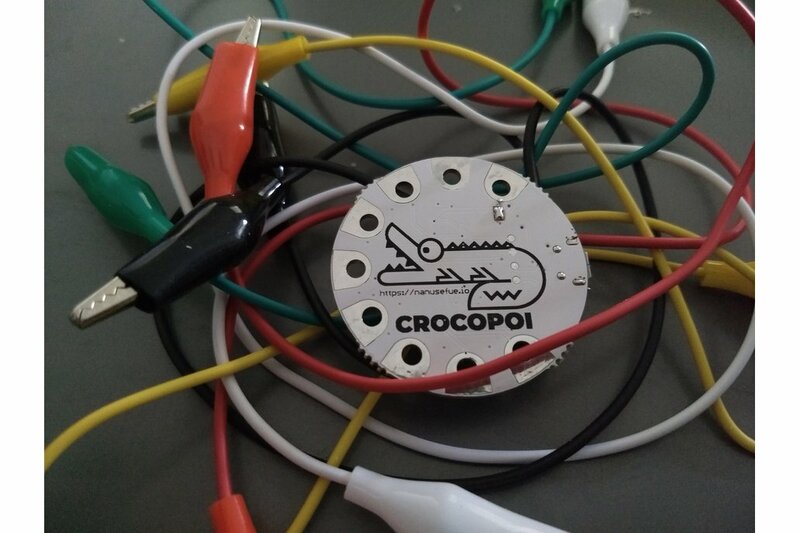 Crocopoi uses a capacitance sensor, and it is simple to use any conductive materials to close the circuit. 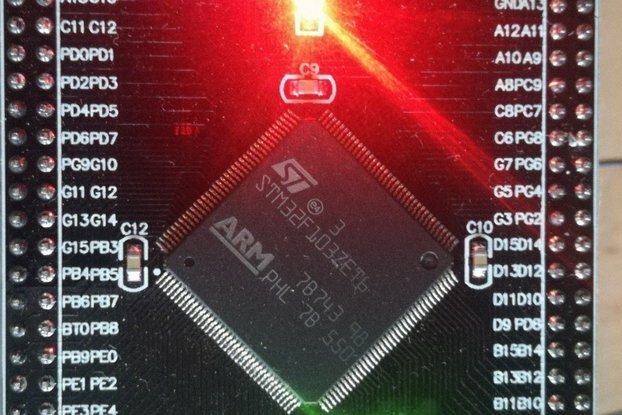 For example, you can use fruit, pencils, or test any materials you think are conductive.